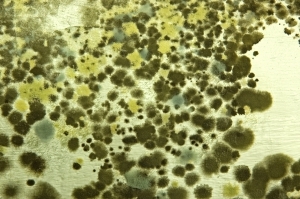 There are thousands of species of mold. Mold removal companies in Arizona remove all kinds of mold; not just “black mold”. Protocol is exactly the same no matter the “type of mold”. Mold is a natural part of most indoor environments. As such, removing ALL mold is not the goal. Surprised? The actual goal of mold remediation is to return the indoor environment to a “normal fungal ecology”. Say what? Basically, that means we’ll remove all excess growth (mold colony) from structural surfaces. Not only that, we make sure the spore levels in the air are similar to the outdoors. Additionally, we do this work in a manner which prevents exposure and cross-contamination. There’s a lot of “negative hype” surrounding the mold removal industry. Furthermore, there’s a fair share of poor information out there. However, we find joy in teaching clients about mold removal. When you call our office, you’ll speak to a mold expert who’ll help you navigate the hype. We’ll never inflate a situation. Likewise, industry standards are what they are and we stick to them. Medium and large mold removal projects, have small margin for error. A medium project is be 10-100 square feet of mold damage. Large projects are anything over 100 square feet of mold damage. The EPA has said anything less than 10 square feet may be a “DIY” job. Though true in most cases, it’s always smart to speak with a pro prior to removing mold yourself. Two main concerns when cleaning up mold are exposure and cross-contamination. Exposure is the cause of mold related health issues. Consequently, without proper gear, risk of exposure is high. Risk of exposure will also increase when mold is spread outside the workspace. Preventing exposure is what the experts do best. We are mold removal experts. What’s more, we’ve successfully completed hundreds of mold jobs in Gilbert. Give us a call for a free phone consultation. If you set out to remove mold yourself, you’ll want to have a few things at your disposal. First, a HEPA vacuum. Second, an air scrubber. Third, plastic sheeting (4mil minimum). Fourth, demo tools. And lastly, contractor grade trash bags. 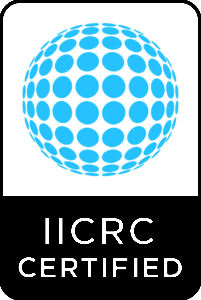 For information on how to cleanup mold you can purchase the IICRC S520. These are industry accepted and ANSI approved standards for mold removal. Whichever route you decide to take, we are here to help. Additionally, if you’d like an onsite assessment we’d be happy to provide one. Call today. Phoenix mold removal companies are pretty much a dime a dozen. However, this can cause problems when deciding who to hire. Why? Every industry has its fair share of crooks. Consequently, the mold removal industry is no exception. Incidentally, there are honest companies without proper insurance and not even know it. Pollution liability is the proper insurance to have. The state of Arizona also requires a mold remediation company to have a contractor license. We have both. Furthermore, our technicians are highly trained and able to remediated most mold issues. We can removal mold from both residential and commercial structures. What’s more, we can rebuild things following the remediation clearance. With us you get a full service. This makes it more convenient and less of a hassle. Either way, we want you to have the best experience possible. If you already have a contractor for the rebuild, you’re more than welcome to use them. Our ultimate goal is to provide quality service in the least burdensome way. Specifically, in both workmanship and financially. 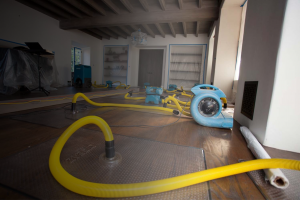 Following are three things to consider before hiring a mold removal company in Phoenix. 1. Make sure they are properly licensed, bonded, and insured. If they are, they will have proof to show. You can verify license and bond info here. 2. Experience/Certification. Anyone can remove moldy materials. However, to remove moldy materials without exposure or contaminating areas outside the workspace is a different story. 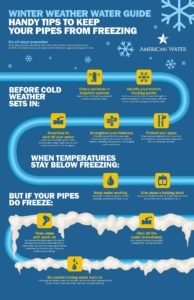 We have all the proper tools, equipment, and experience to prevent such occurrences. 3. References. Any mold removal company in Phoenix worth hiring will have references to show. Just ask and we’ll be glad to provide some. 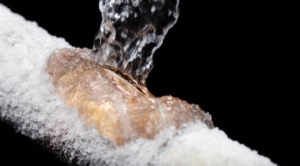 If you have a mold issue or even suspect a mold issue, call us for a free phone consultation. When you call, you’ll actually speak with a mold expert. Pick up the phone and give us a shout today. Removing mold is best left to professionals like us. We’re licensed, bonded, insured and certified. We also have all the right tools and equipment to remove the mold properly. Additionally, we can work with your insurance carrier should you have mold coverage. Each situation is different so it’s ideal to start with a mold inspection first. Our mold inspections are the most thorough in Mesa. During our inspection we use tools such as infrared cameras. These are used to look for active moisture in building materials. Wet areas is where a mold colony will most likely be present. 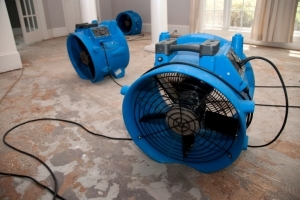 Furthermore, we look for indications of old water damage and areas that appear to have been “repaired”. Sometimes mold testing is needed to determine the presence or absence of mold is a structure. If testing is required, we can refer you to a reputable mold testing company. If your mold problem is obvious, we’ll be able to provide you with an estimate for remediation services. Should you decide to hire our company, we’ll start right away and work efficiently to get you back to normal as soon as possible. Call our company today to speak with a mold removal expert about your situation and how we can help. We’ve successfully removed mold from many Mesa homes and look forward to helping you with your situation.